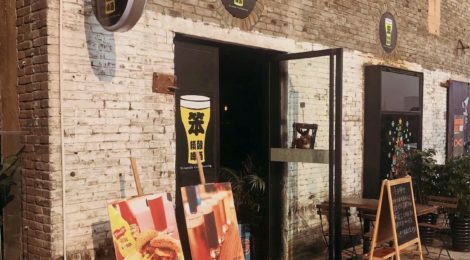 In this third episode of “A cultural and creative park in Chongqing: TESTBED2 贰厂” we interviewed Ben, an American expat in Chongqing and owner of Riverside Craft Brewery. Ben, came for the first time in Chongqing in 1994 for three months because his undergraduate University in Minnesota had an exchange programme with the South University in Bei Bei District in Chongqing. He really enjoyed the time here and, because he wanted to learn more about China and Chinese language, he decided to come back in 1997 once he finished the college. After a period where he was working as a teacher at Sichuan International Studies University and at Chongqing Technology and Business University, he moved to Shanghai where he worked for a couple of years in a real estate company. When he was there he realised that if he would like to do something related with sales, a teaching degree wasn’t enough so he came back to the US to take an MBA in Seattle but the recall of China was too strong and in 2012 he decided to come back to Chongqing. Why did you decide to open a Brewery and why did you choose this location? B: During my period in the US I got used drinking a very good draft beers because Seattle is famous for that, but when in 2012 I came back to live in Chongqing there was not any bar producing it and the imported beer was very expensive so if I wanted to drink good beer, the only option was to learn how to make it and copy the taste that I remembered from Seattle. After making it for a while just for myself, my Chinese friend told me I should sell it so I started looking to open a brewery. At that time I had friends who lived in the area close to TESTBED2 贰厂, and some of them who rent an art studio there told me about this place. Considering that this area is one of the oldest, but that the Government has decided to restore, historically inhabited by rich or diplomatic people, foreigners etc, with the recent opening of a couple of hotels, we have seen great prospects and growth opportunities for our own business. I think I’m one of the first who moved here in January 2016 but at the beginning I didn’t open the pub, I only rented a space to make the beer because I had to refine it and because I had to prepare all the documents for the license. We officially opened Riverside Craft Brewery in October 2017. About the location, I chose this space because the Appa restaurant is at the next door and they sell our beer and the two buildings are connected by a channel in the underground, that now I use to give them the beer. Furthermore this space is the only one with a big terrace that I can use during the sunny days. B: My original idea was to open a craft brewery but to get a license for a manufacturing business it is required to produce 10.000 litres of beer per hours, that for a small reality like us, was impossible to produce. Just few small craft brewery around China, for example in Chengdu and in other few other cities, have it. Instead get a license for a craft beer bar and restaurant was easy. The business here is successful because is another way to market our products that are just few selected beers. I am happy with the results achieved, I started working at home selling beer to some friends and now I had the opportunity to open my own business that gives me the possibility to don’t depend on anybody else, in fact when you have an own business and you create something that is stable, you can decide if move to another place or have more free time entrusting the management. Talking about customers, do Chinese customers appreciate your homemade beer or do you host more foreign customers? B: Craft beer is getting more popular here in the city. At the moment, the 90% of my customers are Chinese, in fact I don’t really focus on foreigners customers but on Chinese one, because I figured out that foreign customers can find us, I don’t need advertisement for them. Both Chinese and foreigners really appreciate our cuisine. Here it is as much as possible homemade, from the hamburger to the American style pizza, the sausages, the French fries and even the sauces. For the beers we make the Sichuan pepper beer, the IPA and we are trying to have other three, four beers. We are focusing on beer made in China, nothing imported. We want to try to keep it local as possible. You arrived in Chongqing the first time 24 years ago. Could you give us your opinion of the changes of Chongqing in these years? B: I didn’t see the city changing because I was gone during its changing but I could see the differences every time that I came back here. The biggest change between 1994 and now is that almost all the residential building, the 99% of them, didn’t have the elevator and there were just a few big stores, now everything is big. The city was a lot lower. There were few bridges, no subway line, no big shopping mall. When in 2008 I came to visit my friends, all the places that in 1997 I used to go out or to go to eat had closed, the only surviving place was an old hotpot restaurant in a cave on the cliff, but when I came again in 2011 even that place had been closed and the city completely changed its appearance. The city that I saw in 2011 was a modern city with skyscrapers and shopping malls and given the speed with which it grows, I believe that in the next few years it will expand much more.